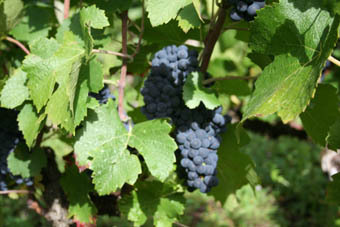 Grape harvest is a crucial moment: fruits are selected in order to eliminate unwanted grapes, and also to evaluate precisely the quality of the harvest. This will help us to work afterwards. 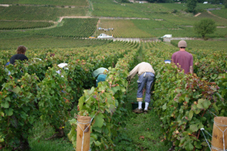 During every wine making, we taste the cuvées twice or three times a day, so as to follow their aromatic evolution. After winding removal, we softly press with a vertical wine-press, and then we settle the liquid before filling the barrels. In cellar, we have choosen to avoid the maximum of interference, that is to say if one leaves the must to settle enough in a way of opting for a maturing of betwen 12 to 16 months on the fine lees,without racking and a minimum of SO2, a protection for the carbonic gas and a late malolactic fermentation. All our wines are drawn off just before bottling and blended in the vats in such a way that it will have the same uniformity in the bottle. 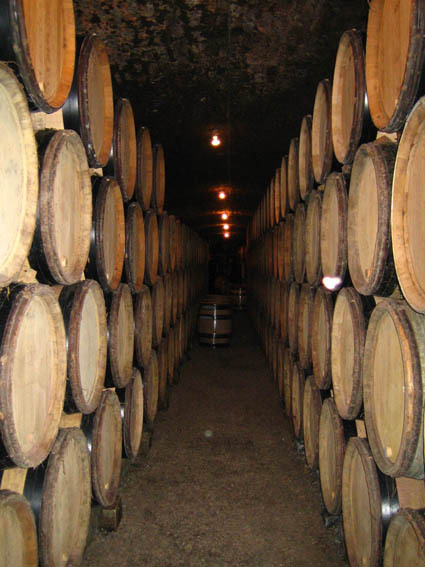 The old fashioned racking: the wines are drawn off by th "Broquereau", that is to say the openong is at the end of the barrel, with the aid of the funnel. That allows to push them without the aid of a pump and to finish offf the racking with a "tastevin" in order to be very precise on the brillance of the wine. That is to say, well separated from the lees, and as important for the non-filtrered. We follow the bio-dynamic calendar and try to follow our wines in their style, either on root days in order to respect the best of their individuality.